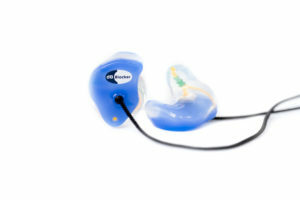 The dB Blocker™ Convertible Y-Vented allows you to simultaneously hear the people and things around you and connect your radio directly to your hearing protector (earplug) eliminating the problem of missed calls. This is the earpiece that is used when an UltraLite communication connection is connected to a Convertible protector. The dB Blocker™ Convertible Y-Vented hearing protector (earplug) was designed for interpersonal communication. The Y-Vent allows for you to communicate with people and hear sounds around you while simultaneously staying connected to your radio, ensuring that you never miss a call. The proprietary frequency-tuned filter allows people to communicate in noise better while wearing their dB Blockers™ than if they were to remove them.